The current research interests of the group is to develop novel materials and exploit new concepts to realize optical computation in a scalable and cascadable manner with low energy consumption, without compromising the integration density. One solution to the above problem is to use propagating surface plasmons to carry the optical information. Surface plasmons can meet the large bandwidth demands by high-performance computation while still maintain high integration density. Dr. Ning Liu received a B.S. degree in Physics from Peking University, China, in 1999 and a Ph.D. degree in Condensed Matter Physics from University of California at Irvine in 2005. Prior to joining the University of Limerick，Ireland as a lecturer in 2013, she worked as postdoctoral research fellow in UK, Canada, China, and Ireland. She has specialties in scanning probe microscopy and ultrafast spectroscopy and microscopy. 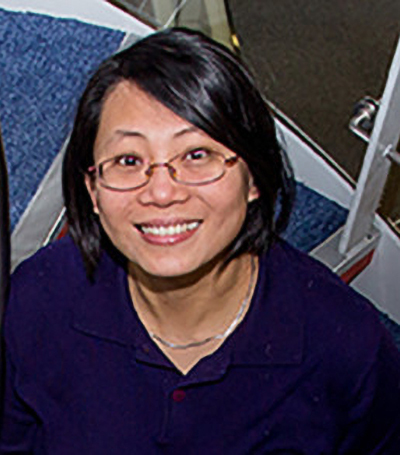 Her current research interests focus on nanophotonics and plasmonics. She has published 33 journal articles, including papers in Nature nanotechnology, Nature chemistry, Nature Materials, Physical review letters, Nano Letters, ACS Photonics etc. Kumbham, M,Mouras, R,Mani, A,Daly, S,O’Dwyer, K,Toma, A,Bianchini, P,Diaspro, A,Liu, N,Tofail, SAM,Silien, C (2017) ‘Spatial-domain filter enhanced subtraction microscopy and application to mid-IR imaging‘. Optics Express, 25 :13145-13152. Guerin, S,Stapleton, A,Chovan, D,Mouras, R,Gleeson, M,McKeown, C,Noor, MR,Silien, C,Rhen, FMF,Kholkin, AL,Liu, N,Soulimane, T,Tofail, SAM,Thompson, D (2018) ‘Control of piezoelectricity in amino acids by supramolecular packing‘. Nature materials, 17.